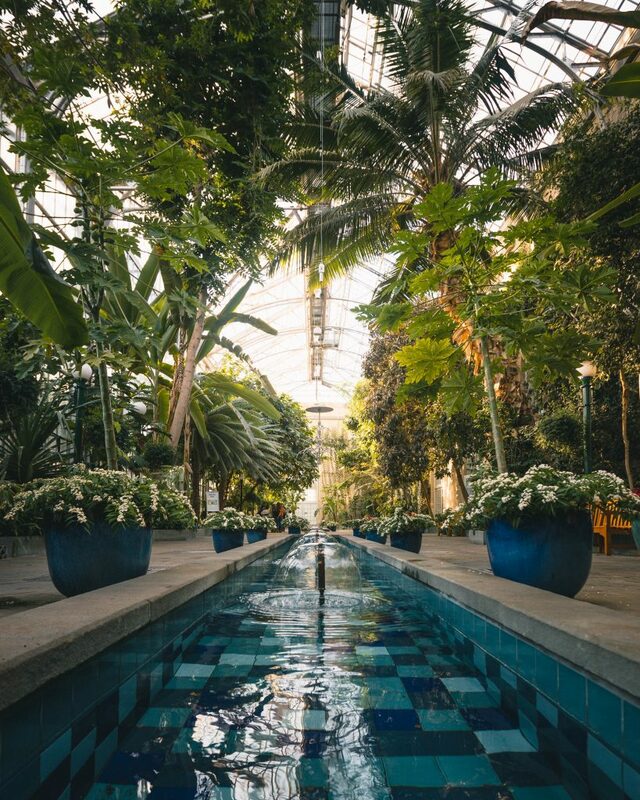 After years of featuring photos on Instagram via IGDC we’ve found some of the best places to photograph in DC. From typical places like the Tidal Basin and Washington Monument to less travelled spots like Blind Whino and Blagden Alley there is something here for locals and travellers. 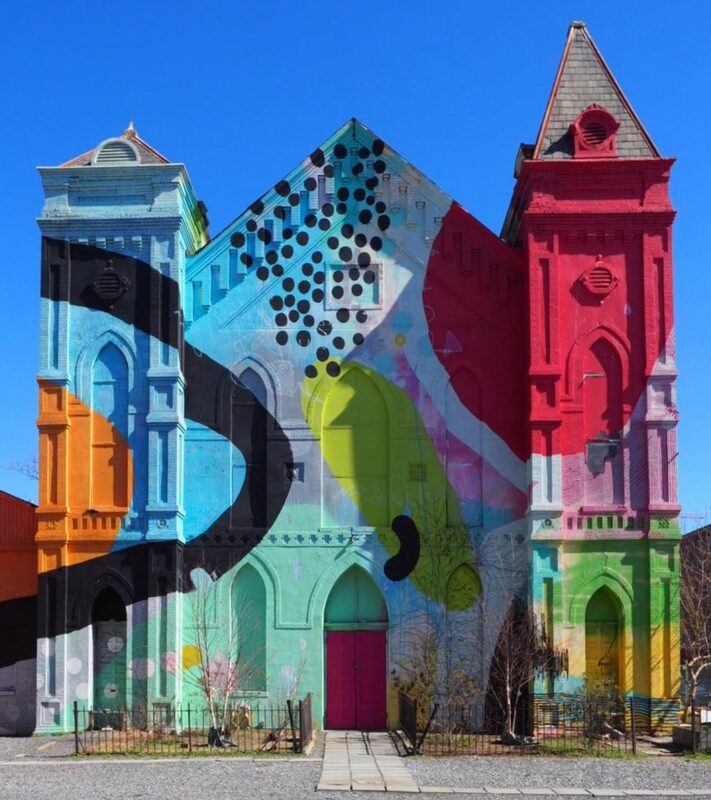 DC’s most colorful church can easily turn heads with its incredible mural. In addition to the exterior; Blind Whino also offers art shows inside which can be found on their website. On a nice day a stop by the National Arboretum is a must. With acres of scenic fields, trails, and the Capitol Columns you can spend a couple of hours exploring the Arboretum. The Arboretum also holds a collection of unique bonsai trees that can be viewed seasonally. Union Market is full of unique shops, coffee shops, and food stands but the outside is remarkable. 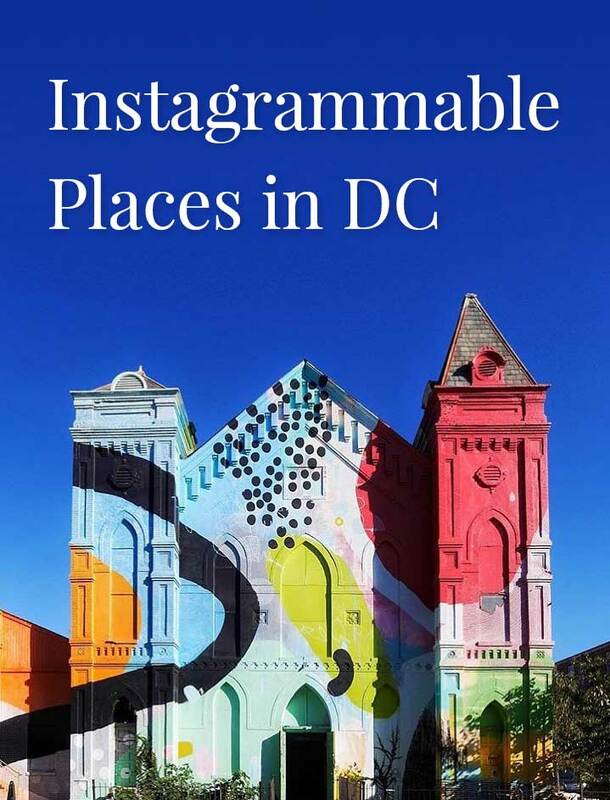 Covered in murals that change periodically you’re sure to find something to Instagram (plus you can grab an ice cream at Trickling Springs). 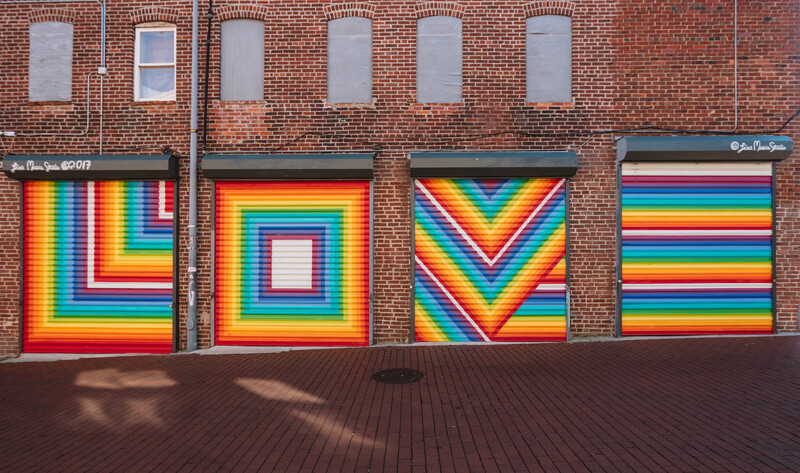 One of the most popular sights at Union Market is the heart wall full of rainbow hearts that was created by Mr. Brainwash for International Women’s Day in 2015. The Capitol is hard to miss, in the heart of DC the United States Capitol looks great at anytime of day. Plus if you’re awake for sunrise the Capitol Reflecting Pool offers a fantastic reflection of the Capitol and sky. If you’ve never been to the Capitol it should be high on your list, take a walk around the entire building for its full affect. Yes, that was me blasting the Hamilton soundtrack at 6am on my phone with no headphones. I had to get ready for the show today! 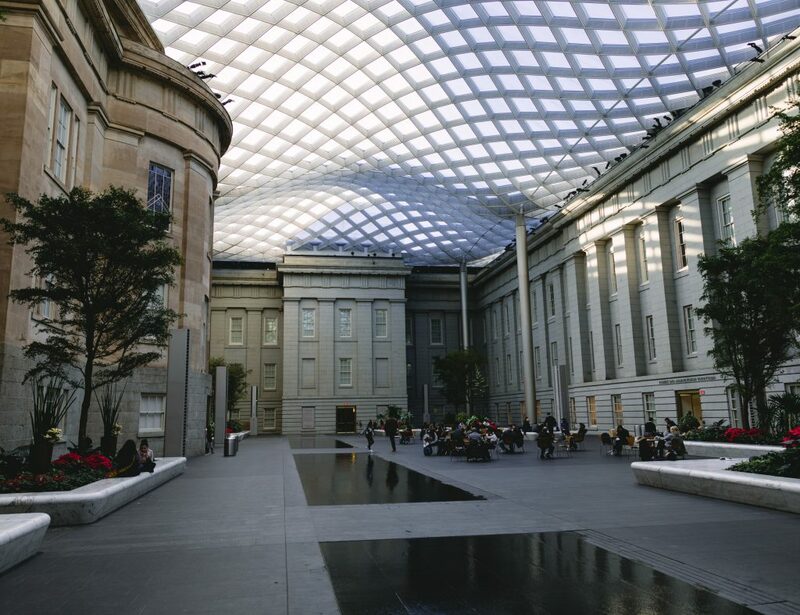 There is much to explore in the National Gallery of Art. Some of the most notable things to see are the light tunnel in the basement and the giant blue Rooster on the roof of the East building. The west building is also full of stunning halls and historical pieces of artwork. DC Instagrammers love stopping by the lobby of the Line Hotel with their unique stairway with mirror in the corner. They also have a cute coffee shop in the lobby and occasionally have events on the rooftop. Right next to the Capital One Arena in Chinatown is the National Portrait Gallery. Full of impressive hallways and courtyards the Portrait Gallery has plenty of unique art exhibits to photograph. If you love greenery the Botanic Garden should be right up your alley. With different rooms featuring different environments and unique series of plants it’s a no brainer to stop by. Plus if you’re visiting the Capitol it’s only a few blocks away. In addition to plants the Botanic Garden is also decorated for holidays. This colorful house is hard to miss with its massive watermelon mural on the side. Whether you’re just taking a photo of the mural or doing a #watermelonjumps it’s a blast to see this colorful mural. Blagden Alley is loaded with interesting murals, make sure to stop by La Colombe which is one of DC’s best coffee shops. The National Mall is a must stop especially the Reflecting Pool and Lincoln Memorial. Open all day and night the Reflecting Pool is a awe-inspiring spot everyone should visit at least once. The main alley of CityCenterDC is always decorated for the season, from winter to fall there is always something to photograph at City Center. 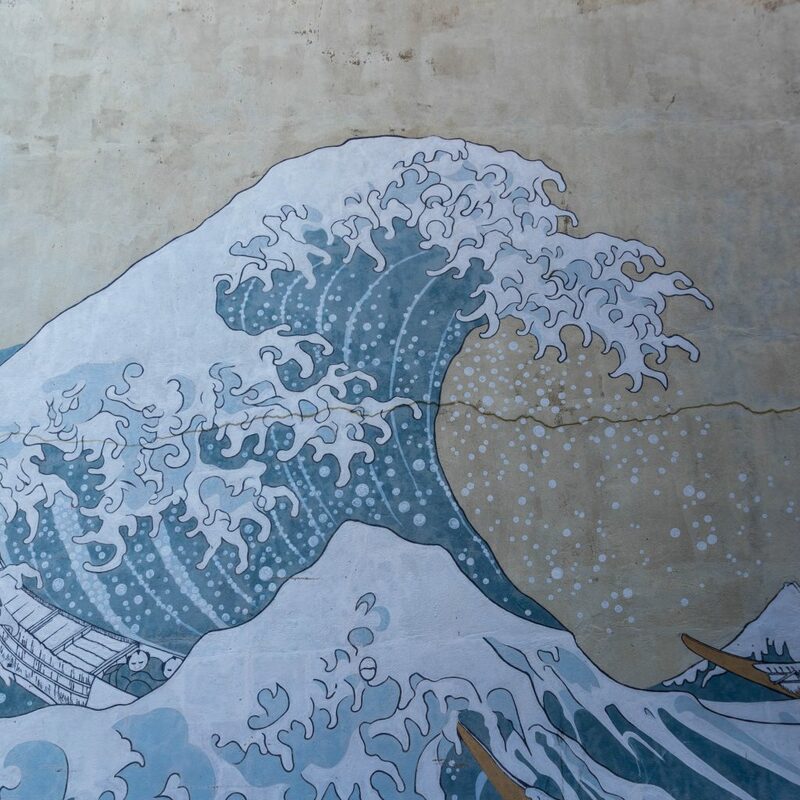 The huge wave mural on the side of a row home in Georgetown is great for taking a portrait in front of. The Yards park has great restaurants but also an impressive bridge that is perfect for portraits. Have I posted enough pictures of this bridge yet? Yes? Oh well. I’m a big fan of our new front yard. It’s hard to miss this giant pink building in Georgetown, Greenworks is also a beautiful flower shop on the inside. The massive Friendship Arch in Chinatown is a staggering archway that is impressive day or night. The grand hall in Union Station has beautifully painted gold ceilings. 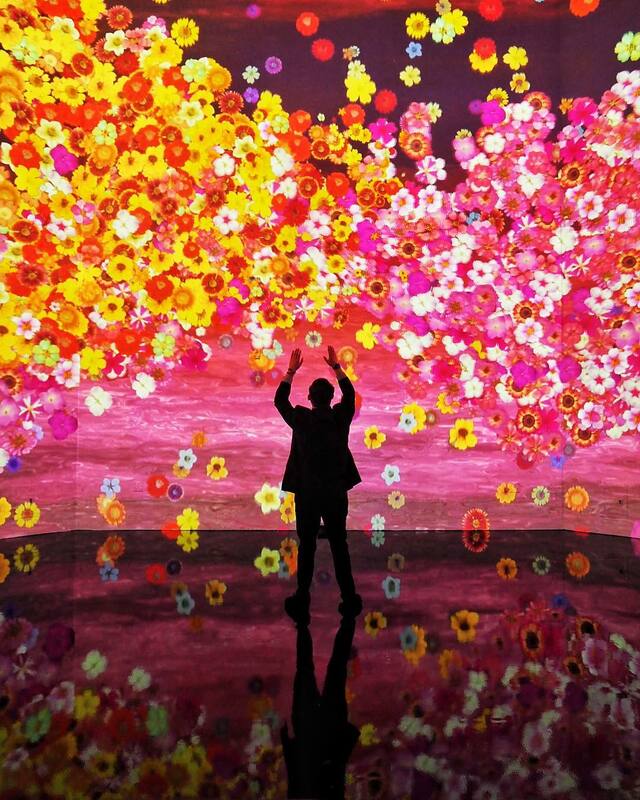 One of the newest interactive experiences in DC is Artechouse which features large displays projected on walls. For more Instagram inspiration in Washington DC be sure to check out the #IGDC feed and to tag your photos. Let us know your favorite places to Instagram in the comments!